After nearly three weeks of denials, Saudi officials said on October 19 that the journalist Jamal Khashoggi died in an altercation inside the Saudi Consulate in Istanbul. Khashoggi, 59, who was often critical of the Saudi government, entered the consulate on October 2 and had not been seen since. Saudi Arabia previously said, without evidence, that Khashoggi left the consulate, and officials had rejected assertions that he was killed. US President Donald Trump has shifted from expressing concern about the case to defending Saudi leadership since Khashoggi’s disappearance. Trump has said that stopping arms sales to the Saudis as punishment for Khashoggi’s disappearance would be a “tough pill to swallow,” but he’s facing growing calls in Congress for the US to cease or diminish its relationship with the kingdom. US intelligence may have known before Khashoggi’s disappearance about a Saudi plot to capture him, The Washington Post reported in early October. The Saudis’ narrative on Khashoggi’s killing has shifted multiple times, even after acknowledging he was killed. The most consistent aspect of their story is the claim that Crown Prince Mohammed bin Salman had no prior knowledge of Khashoggi’s killing. Turkish President Recep Tayyip Erdogan has put pressure on the Saudis to be more transparent and cooperative in the ongoing investigation. 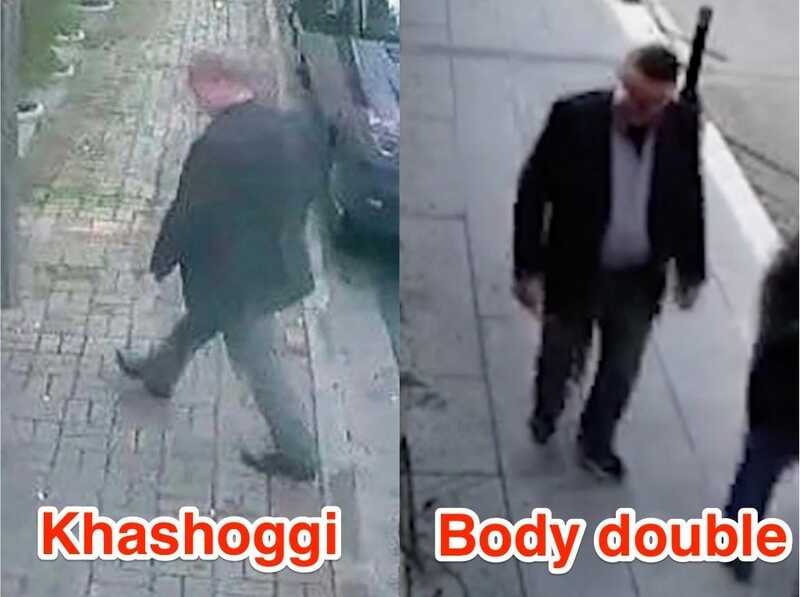 The Turks maintain that Khashoggi’s killing was premeditated and have rejected assertions that a “local collaborator” disposed of his dismembered body. The Turks have said Khashoggi’s killing was ordered at the “highest levels” of the Saudi government. Pompeo has said the US would take “appropriate actions” against people it has identified as connected to Khashoggi’s killing, including revoking visas and possibly imposing economic sanctions. 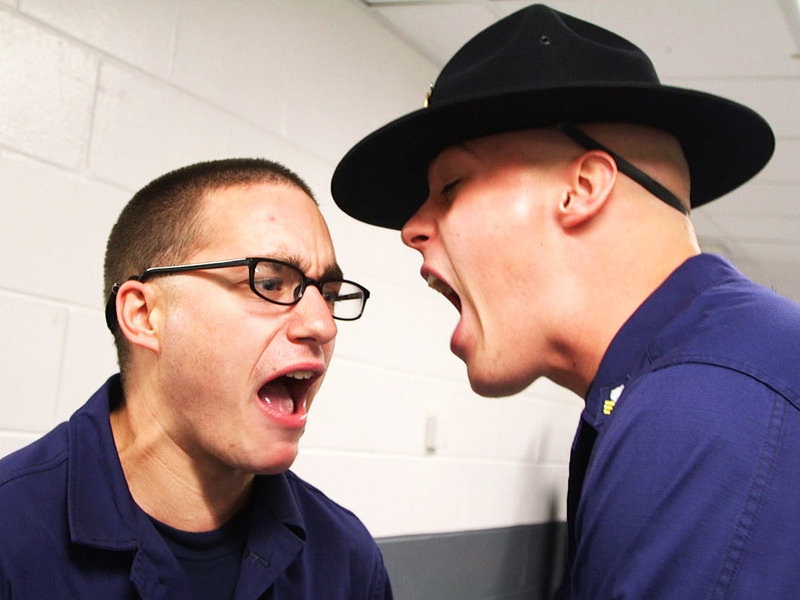 Little has occurred in this regard. The Saudi public prosecutor’s office on Thursday said 11 people had been indicted in connection with Khashoggi’s killing, adding that the death penalty had been requested for five of them. The prosecutors said the Saudi agents involved had orders to abduct the journalist but ultimately killed him via a lethal injection after a “fight and quarrel.” Khashoggi’s body was then dismembered and given to a local collaborator, they said. None of the suspects were named. The CIA has concluded Prince Mohammed ordered Khashoggi’s killing, contradicting the kingdom’s narrative, The Post reported Friday. Trump on Tuesday offered a forceful defense of Saudi Arabia over Khashoggi’s killing, making clear he does not plan to call for significant repercussions against the kingdom. Jamal Khashoggi’s death has captured the world’s attention. Khashoggi, 59, a Saudi journalist, was killed in the Saudi Consulate in Istanbul in early October. The Saudi government on October 19 acknowledged his death, claiming he died during an altercation in the consulate. The Saudis had given conflicting accounts about the case over the nearly three weeks that Khashoggi’s disappearance remained a mystery. The journalist entered the consulate on October 2 to obtain documents necessary to marry his Turkish fiancée, Hatice Cengiz. Here’s a timeline of the events surrounding Khashoggi’s disappearance and death. Khashoggi, a prominent journalist who was often critical of the Saudi government and Crown Prince Mohammed bin Salman, wrote for The Washington Post’s global opinion section. Khashoggi had a long, complicated career. He went from interviewing a young Osama bin Laden in the 1980s to becoming one of the top journalists in his country to living in self-imposed exile. Khashoggi was at one point an adviser to senior officials in the Saudi government and worked for top news outlets in the country. He was long seen as close to the ruling elite there. But last year, Khashoggi had a falling out with the government over Prince Mohammed’s controversial tactics as he has worked to consolidate his power, including arresting powerful business executives and members of the royal family. The Saudi royal family also barred Khashoggi from writing after he was critical of US President Donald Trump, and it drove Khashoggi to leave Saudi Arabia for the US in the summer of 2017. Months before his death, Khashoggi reportedly told colleagues he had feared for his life. After leaving Saudi Arabia, Khashoggi divided his time between London, Istanbul, and Virginia. He was a US resident with a green card, but not a citizen. Jamal Khashoggi is a Virginia resident, so his disappearance is personal to me. President Trump needs to raise this case immediately with Saudi Arabia and Turkey and demand answers. We should be extending support from our federal agencies for a real investigation. The Post on October 17 published an op-ed article Khashoggi filed shortly before his disappearance. In it, Khashoggi called for a free press in the Arab world. Attiah, who edited the article, wrote a note at the top. Saudi officials initially claimed that Khashoggi left the consulate, and they maintained that story for roughly 17 days. “Mr. Khashoggi visited the consulate to request paperwork related to his marital status and exited shortly thereafter,” an unnamed Saudi official told The New York Times in October. Prince Mohammed told Bloomberg News in early October that Turkish authorities were welcome to search the consulate. “We have nothing to hide,” he said. Turkish media reported early last month that 15 men arrived at Istanbul’s airport on October 2, the day Khashoggi went missing, and left Turkey later that night. Turkey has alleged that they were sent to kill Khashoggi. The Saudi-owned Al Arabiya TV network on October 11 aired a report claiming that the 15 men weren’t sent to Istanbul for the purpose of capturing or killing him but were just tourists. On October 19, Saudi Arabia said Khashoggi died in a fistfight in the consulate, a claim that has been met with a great deal of skepticism. A Saudi official told Reuters on October 21 that Khashoggi’s body was rolled up in a rug and given to a “local cooperator” for disposal. But a Reuters report the next day suggested the operation was run via Skype by a top aide to the crown prince. Saudi Arabia’s official press agency on October 25 quoted a prosecutor with knowledge of Turkey’s investigation into Khashoggi’s fate as saying evidence indicated that his killing was premeditated, marking yet another shift in the kingdom’s narrative about what happened to the journalist. “Information from the Turkish authorities indicates that the act of the suspects in the Khashoggi case was premeditated,” Saudi Arabia’s public prosecutor said in a statement. The Saudi public prosecutor’s office on Thursday said 11 people had been indicted in connection with Khashoggi’s killing and that the death penalty had been requested for five of them. Prosecutors added that 21 people had been detained overall. Riyadh said in October that 18 people had been detained. 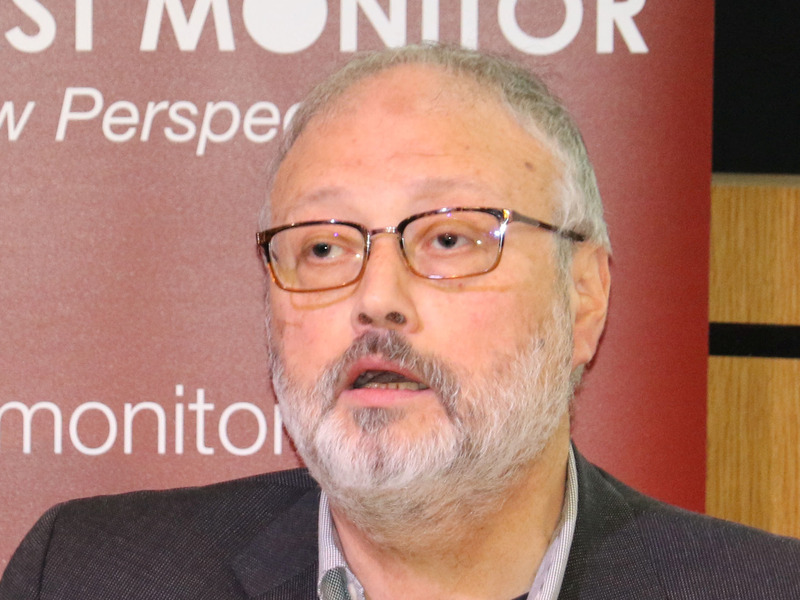 The prosecutors said the Saudi agents involved, including the head of forensics for the national intelligence service, had orders to abduct the journalist but ultimately killed him via a lethal injection after a “fight and quarrel.” Khashoggi’s body was then dismembered and given to a local collaborator, they said, contradicting earlier claims that the killing was premeditated. None of the suspects were named, and a spokesman for the prosecutor reiterated the kingdom’s claims that Prince Mohammed had no prior knowledge of the killing. Turkish officials have consistently accused the Saudis of brutally killing Khashoggi. A high-level Turkish official told The Associated Press on October 16 that police who entered the consulate found “certain evidence” that Khashoggi was killed there. Turkey has been putting a great deal of pressure on Saudi Arabia to be more transparent. On October 8, Turkish President Recep Tayyip Erdogan demanded Saudi officials provide proof that Khashoggi left the consulate. Throughout the investigation, there have been somewhat conflicting messages from Turkey on Khashoggi’s disappearance as details of what might have happened to him have been gradually leaked to media outlets. In a report on October 9, The Times described a senior official as saying Turkey had concluded Khashoggi was killed “on orders from the highest levels” of the Saudi royal court. But Yasin Aktay, an adviser to Erdogan, said on October 10 that “the Saudi state is not blamed here,” suggesting that “a deep state” was responsible for Khashoggi’s disappearance. On October 11, Erdogan increased pressure on Saudi Arabia over Khashoggi’s disappearance. “We cannot remain silent to such an incident,” Erdogan was quoted by Turkish media as telling reporters, according to The Post. “How is it possible for a consulate, an embassy not to have security camera systems? Is it possible for the Saudi Arabian consulate where the incident occurred not to have camera systems?” he continued. Erdogan on October 23 contradicted Saudi Arabia’s narrative of Khashoggi’s death, describing it as a premeditated act. The Turkish leader said Khashoggi was the victim of a “savage” and “planned” murder. “We have strong evidence in our hands that shows the murder wasn’t accidental but was instead the outcome of a planned operation,” Erdogan said. Erdogan also called for the 18 men the Saudis arrested in connection with Khashoggi’s death to be brought to Turkey to stand trial. The Turkish president said Khashoggi’s body had not been found, pushing back on reports suggesting otherwise. Erdogan on October 30 called on the Saudis to identify the people responsible for Khashoggi’s killing. Istanbul’s chief prosecutor, Irfan Fidan, said on October 31 that Khashoggi was strangled shortly after he entered the consulate and his body subsequently dismembered. The prosecutor also called on the Saudis to reveal the location of Khashoggi’s body. Erdogan said in an op-ed article in The Post on November 2 that Khashoggi’s killing was ordered by the “highest levels” of the Saudi government, and he rebuked Riyadh for not being more cooperative. The Turkish leader reiterated calls for Saudi Arabia to answer basic questions about Khashoggi’s death, such as where his body is. Erdogan on November 10 said he passed on audio recordings of Khashoggi’s killing to the US, the UK, France, Germany, and Saudi Arabia. There appears to be video footage of Khashoggi entering the consulate. Turkish officials have said that some footage from it mysteriously disappeared. Local police were examining video footage from security cameras in the area, and on October 15 police entered the consulate to investigate for the first time. Erdogan said the next day that investigators found some surfaces that had been newly painted over. Turkish media published what it said were videos of Saudi intelligence officers entering and leaving Turkey via Istanbul’s airport. Citing an unnamed US official, The Post reported on October 7 that Turkish investigators believed Khashoggi was killed and his body most likely dismembered, placed in boxes, and flown out of the country. But some reports suggest Khashoggi’s body may have been dissolved with acid. A senior official who spoke to The Times said Turkish officials believed the team used a bone saw to dismember Khashoggi’s body. The Guardian reported last month that officials were looking for a black van with diplomatic number plates that was seen departing the consulate roughly two hours after Khashoggi went in. They also thought Khashoggi’s Apple Watch could provide clues about what happened to him, though experts have cast doubt on that claim. A Post report published on October 11 described several unnamed Turkish and US officials as saying the Turkish government told US officials it had audio and video recordings suggesting that a team of Saudis killed Khashoggi. The newspaper quoted one official as saying the audio recording indicated that Khashoggi was “interrogated, tortured, and then murdered,” adding that both Khashoggi’s voice and the voices of men speaking Arabic could be heard on the recording. The recording “lays out what happened to Jamal after he entered,” The Post’s source said. 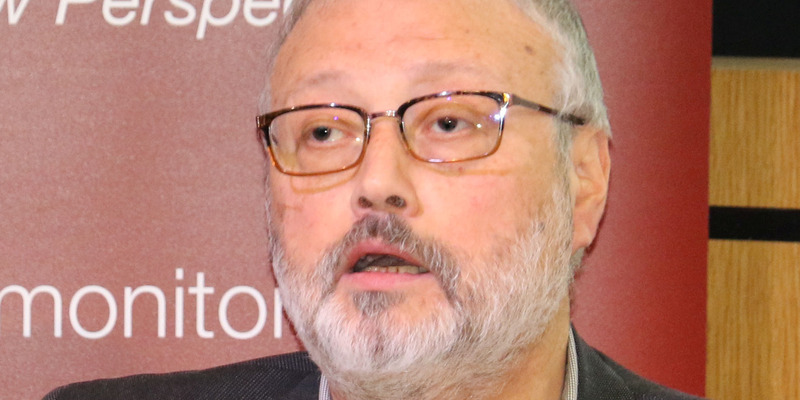 The Wall Street Journal reported on October 16 that Turkish officials shared with the US and Saudi Arabia details of an audio recording said to illustrate how Khashoggi was beaten, drugged, and ultimately killed in the Saudi consul general’s office minutes after entering the consulate. The Journal described people familiar with the matter as saying the recording included a voice that could be heard urging the consul to leave the room, as well as a voice of a person Turkish officials identified as a forensic specialist urging people nearby to listen to music as he dismembered the body. In a Times report on October 17, a senior Turkish official described audio recordings suggesting that Khashoggi’s fingers were cut off shortly after he arrived at the consul and that he was eventually beheaded. A Turkish official on October 19 said investigators were looking into the possibility that Khashoggi’s remains were taken to a nearby forest or to another city in the country. On October 22, CNN reported that surveillance footage suggested the Saudis involved in the operation had a man wear Khashoggi’s clothing, a fake beard, and glasses around Istanbul in an attempt to act as a body double. The Post quoted a diplomat familiar with the deliberations as saying the Saudis decided not to move forward with the story because the double appeared too “flawed” in the footage. Saudi officials who spoke with the AP acknowledged that a body double was used but said it was part of a plan to kidnap rather than kill Khashoggi. Meanwhile, Reuters and The Post reported on October 25 that CIA Director Gina Haspel heard audio of the killing while visiting Turkey that week. Khashoggi’s last words were “I’m suffocating … Take this bag off my head, I’m claustrophobic,” according to a Turkish journalist, Nazif Karaman, who told Al Jazeera on Sunday that he listened to audio of Khashoggi’s death recorded at the consulate. According to Karaman, the killing lasted roughly seven minutes. Canadian Prime Minister Justin Trudeau on Monday said Canadian intelligence had listened to recordings of Khashoggi’s killing. “Canada’s intelligence agencies have been working very closely on this issue with Turkish intelligence, and Canada has been fully briefed on what Turkey had to share,” Trudeau said. One of the men involved in Khashoggi’s killing told a superior over the phone in Arabic to “tell your boss” that “the deed was done,” The Times reported on Monday, citing three people familiar with a recording of Khashoggi’s death collected by Turkish intelligence. US intelligence officials believe it was a reference to Prince Mohammed, though he was not explicitly named, the report said. The CIA has concluded Prince Mohammed ordered Khashoggi’s killing, contradicting the kingdom’s narrative, The Post reported last Friday. 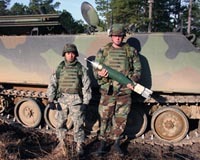 The report described officials as having “high confidence” in the CIA’s assessment. Trump initially expressed concern about the Khashoggi case, then shifted to defending Saudi leaders while exhibiting a reluctance to punish them. On October 8, he told reporters that he was “concerned about” Khashoggi’s disappearance. Trump claims US-Saudi relations are “excellent” despite the Saudi regime’s apparent involvement in the murder of Khashoggi. In an interview with Fox News on October 10, the president seemed reluctant to guarantee repercussions against the Saudis — especially in terms of US arms sales to the country — if it turned out that they harmed Khashoggi. 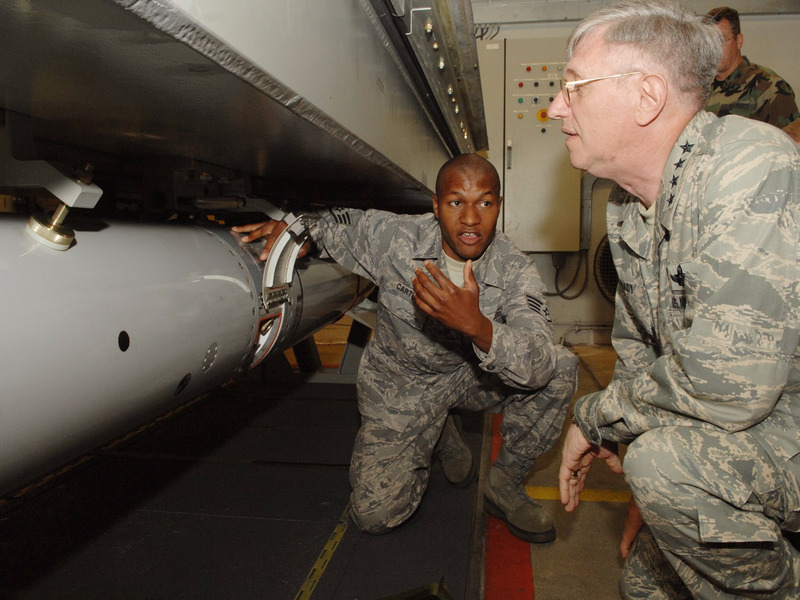 The president also reiterated concerns about the economic impact of reducing arms sales to the Saudis. After a phone call with Saudi Arabia’s King Salman on October 15, Trump suggested, without evidence, that “rogue killers” could be behind Khashoggi’s disappearance and said the king flatly denied any involvement. In an interview with Fox Business that aired that evening, Trump said it “would be bad” if it turned out that the Saudis were behind Khashoggi’s disappearance, but he emphasized the US-Saudi relationship. Trump stressed the fact that Khashoggi was not a US citizen and boasted about billions of dollars in planned US arms sales to the Saudis. The president also said there would be “very severe” consequences if investigations into Khashoggi’s disappearance conclude the Saudis are responsible. “We’re waiting for the results of about — there are three different investigations, and we should be able to get to the bottom fairly soon,” Trump said at the time, adding that he plans to make a “very strong statement” once they’ve concluded. After the Saudis acknowledged Khashoggi’s death, Trump said he found their explanation about how he died credible and offered his support to the crown prince. Trump on October 23 described Khashoggi’s killing as one of the worst cover-ups in history. Additionally, the president said he’d leave any ramifications against the Saudis up to Congress. Trump told reporters on November 7 that he was consulting with Congress on how to respond to the killing, adding that he would have “a very strong opinion” to offer on the subject next week. In response to the Post report that the CIA concluded Prince Mohammed ordered the killing, Trump on Saturday touted the US-Saudi relationship, describing Saudi Arabia as “a great ally” that had given the US jobs, business, and economic development. Trump said he hadn’t been briefed on the CIA’s assessment, but a Post report on Saturday suggested he had been shown evidence from intelligence officials that Prince Mohammed was involved in Khashoggi’s killing. Trump also did not say whether he believes Prince Mohammed is responsible for the killing. The Trump administration has sanctioned 17 Saudis said to be involved in the killing. Cengiz urged Trump in an op-ed article for The Post, published on October 9, to “shed light” on his disappearance. She added that she and Khashoggi “were in the middle of making wedding plans, life plans,” when he disappeared. On October 10, Trump said that he had spoken with the Saudi government about Khashoggi and that he was working closely with the Turkish government to get to the bottom of what happened. He would not say whether he believed the Saudis were responsible for the journalist’s disappearance. The president also said he invited Cengiz to the White House. Later in the day, Pompeo met with Prince Mohammed for roughly 35 to 40 minutes. The US received a $100 million payment from Saudi Arabia that day. The timing of the payment raised questions, but the State Department said it had no connection to Pompeo’s visit. On October 18, ABC News cited a senior Turkish official as saying the Turks let Pompeo listen to audio and view a transcript offering evidence that Khashoggi was killed. Pompeo promptly denied ever hearing or seeing such a recording, and Ankara’s top diplomat subsequently denied supplying any audio to the secretary of state. Pompeo said on October 23 that the US would take “appropriate actions” against people it has identified as connected to Khashoggi’s killing. 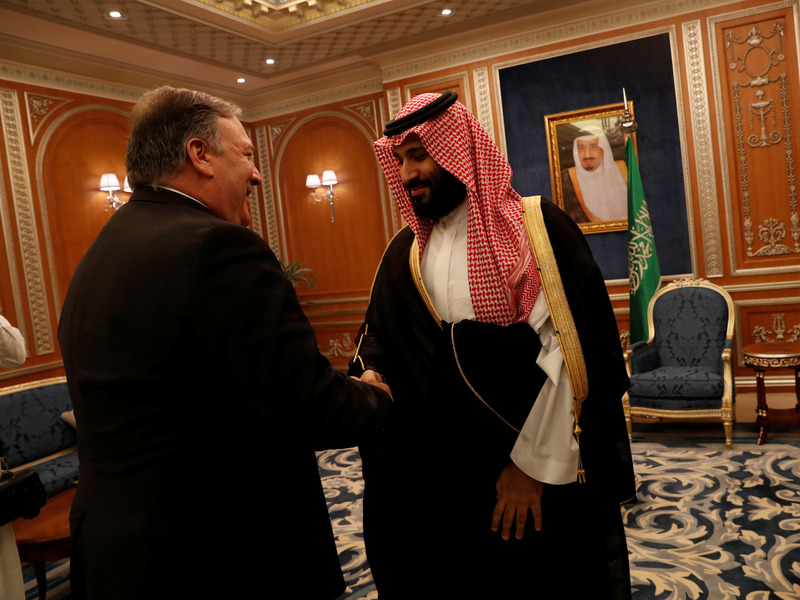 “We have identified at least some of the individuals responsible, including those in the intelligence services, the royal court, the foreign ministry, and other Saudi ministries who we suspect to have been involved in Mr. Khashoggi’s death,” Pompeo said, adding that the repercussions could include revoking visas or imposing economic sanctions. Pompeo had a call with Prince Mohammed on Sunday in which he told the Saudi leader the US would hold accountable everyone involved in Khashoggi’s death, The Guardian reported. A Post report on October 10 said US intelligence intercepts showed that Prince Mohammed sought to lure Khashoggi back to Saudi Arabia and detain him there. The newspaper said the intercepts of Saudi officials discussing the plan were described by US officials familiar with the intelligence. Under a directive signed in 2015, the US intelligence community has a “duty to warn” people — including those who are not US citizens — who it believes are at risk of being kidnapped, seriously hurt, or killed. This directive was a central aspect of the conversation about the US’s response to Khashoggi’s disappearance. The White House and the State Department did not immediately respond to requests for comment from Business Insider. A representative for the National Security Council declined to comment. But a State Department spokesman, Robert Palladino, told reporters that the US government did not have prior knowledge of a Saudi plot to capture or harm Khashoggi. Senators on both sides of the aisle had expressed serious concerns about Khashoggi’s disappearance. And those who commented about the Saudi government’s announcement of Khashoggi’s death expressed doubt about the Saudis’ explanation. Rep. Adam Schiff of California, the ranking member of the House Intelligence Committee, said: “The announcement that Jamal Khashoggi was killed while brawling with a team of more than a dozen dispatched from Saudi Arabia is not credible. If Khashoggi was fighting inside the Saudi consulate in Istanbul, he was fighting for his life with people sent to capture or kill him. Nearly two dozen senators sent a letter to Trump on October 10 invoking the Global Magnitsky Human Rights Accountability Act of 2016. At the end of 120 days, the letter said, Trump is to report back to the committee on the investigation’s findings and how his administration plans to respond. The letter paves the way for sanctions to be imposed on Saudi Arabia and puts pressure on Trump to investigate Khashoggi’s disappearance. Other Republican senators, including Marco Rubio, Rand Paul, and Ben Sasse, have also been deeply critical of Saudi Arabia and the US’s relationship with it in the wake of Khashoggi’s disappearance. “It’s time to rethink America’s relationship with the Saudi Kingdom,” Paul wrote in an op-ed article for Fox News. Meanwhile, UN experts have called for an independent and international investigation into the case. Is The Canadian Air Force Obsolete?